Features a front zipper and elbow length sleeves. 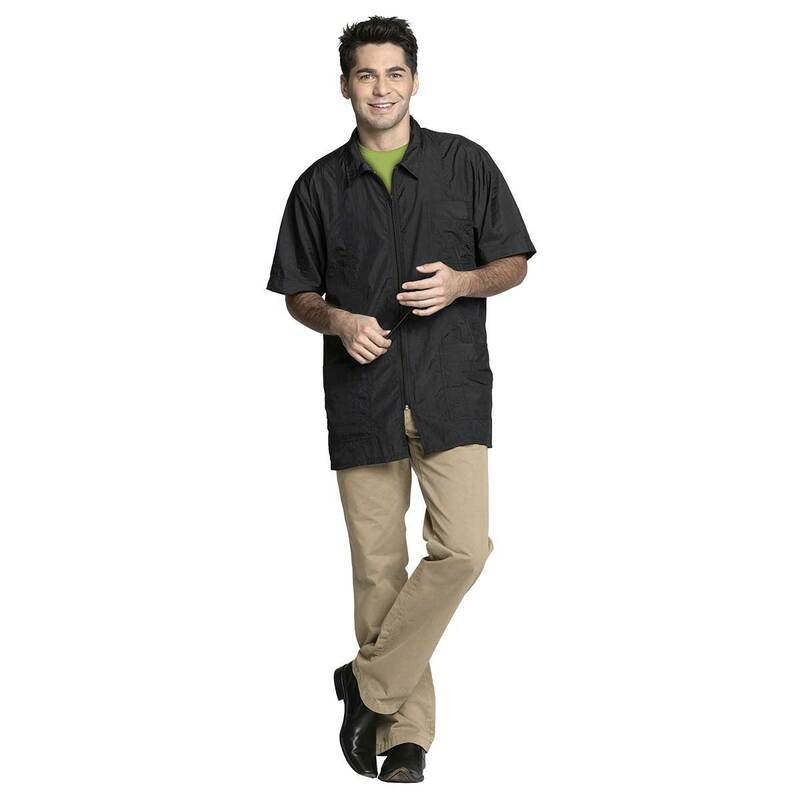 Lightweight crinkle nylon resists water & stains. Machine washable. Black available in sizes Sm-2X. 100% Crinkle Nylon. Water repellant. Zip front with 3 convenient pockets.